We are thrilled to be included in SomaFM's unique programming. Tune in to the Mission Control, DroneZone and Cliqhop stations to hear our tracks! 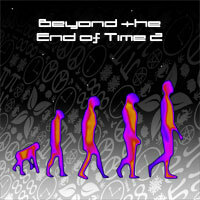 June 25, 2011 - At long last, Beyond the End of Time 2 by Todd Snow + k-rakos is now available! The album features several new tracks recorded specifically for this project, as well as a few older ones which have been carefully enhanced and remastered. Please waste no time in downloading a copy, since it is currently being offered for free! May 21, 2011 - Long and dreamy and peculiar, it's my secret soundtrack. A side project produced in 2004, but never before released. The track a seaside light by k-rakos is now available here as a free download. May 20, 2011 - I've just overhauled the k-rakos MySpace page. Check it out! May 19, 2011 - The older k-rakos albums are being pulled from most distribution channels so that they may be re-mastered and re-released at a later date. The original versions are still available via BandCamp. April 14, 2011 - Todd Snow and k-rakos are currently finishing a new collaborative album, Beyond the End of Time 2. This will be the sequel to our similarly-named 1995 project. Details forthcoming. April 10, 2011 - Todd Snow's New Frontier album is now available at iTunes! February 1, 2011 - The k-rakos track without end from the allows album appears alongside a diverse group of artists (including Ricky Martin and Grizzly Bear) in Part 3 of this month's Outradio program. Thanks to producer JD Doyle for making that happen! December 1, 2010 - The k-rakos allows album has been completely re-mastered, some of its tracks have been remixed and four additional ones have been added. 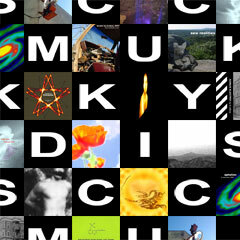 The new 14-track version is now officially available from Bandcamp and at CD Baby and it's partners, including iTunes. August 27, 2010 - Todd Snow and k-rakos have received a smattering of listens and downloads from a variety of services including Apple iTunes and iTunes-Europe, Spotify, Amazon MP3, Rhapsody, and Napster. We are psyched that folks are discovering our independent electronic music! August 20, 2010 - After a brief disruption in service, this site has been moved to a spanking new server which should allow faster load times and increased visibility to seekers of experimental electronic music on the web. July 30, 2010 - The incredible music archivist and radio producer JD Doyle has featured the k-rakos track day pass in the July episode of OutRadio! The track appears in Part III, which happens to be the very first all-instrumental segment of this program featuring mostly ambient electronic works. Therefor, it is a special honor to be included. July 22, 2010 - This website has just be completely rebuilt from the ground up to be more HTML/CSS standards compliant. April 23, 2010 - Ambient track Sailing the Dark Void from the Todd Snow/k-rakos 1995 Beyond the End of Time CD was used in the soundtrack to Patrick Santoro's multimedia presentation 'At the Mercy of Ruin'. The one-man show, meant to explore the beauty within pain and loss, ran in the Kleinau Theatre at Southern Illinois University. 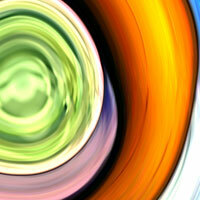 February 21, 2010 - An initial version of the k-rakos allows is now available at BandCamp. All of the previous k-rakos albums have also been posted there--around 100 tracks spread over 9 albums! February 20, 2010 - You absolutely must listen to internet radio SomaFM's Mission Control station, which mixes truly amazing ambient music with actual NASA mission audio. We are deeply honored that Haunted from Todd Snow's Pentagram album and inner sanctum (a Todd Snow/k-rakos collaboration) from new realities have been included in the rotation. January 22, 2010 - While a new k-rakos project may be just around the corner, Todd has begun releasing his latest project: the self-produced New Frontier album. December 8, 2009 - Infinite thanks to Rusty and Cliqhop at SomaFM for playing with love from the k-rakos leveler album. July 9, 2008 - Apologies for the long absence of updates to this site--please know an overhaul is in it's early stages. The k-rakos leveler album hasn't received much attention apart from a smattering of sales and digital downloads, but it's worthy of repeated listens so please grab a copy! Meanwhile, what's also new is that Todd's Aphelion album has been released!